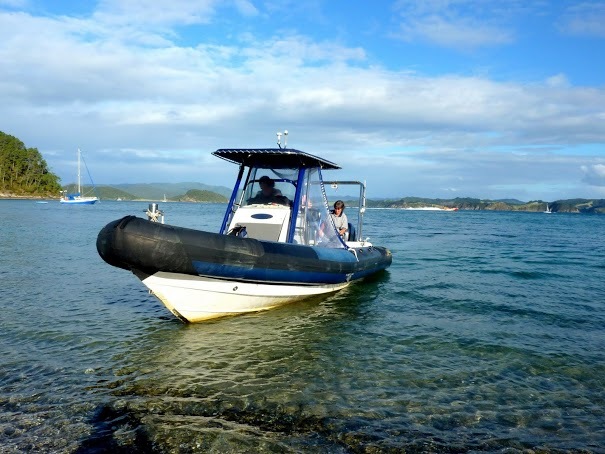 Our transport for the day. Dramatic cliffs dominated the seaward side of the island. On the first day of May our hiking group did something rather special. 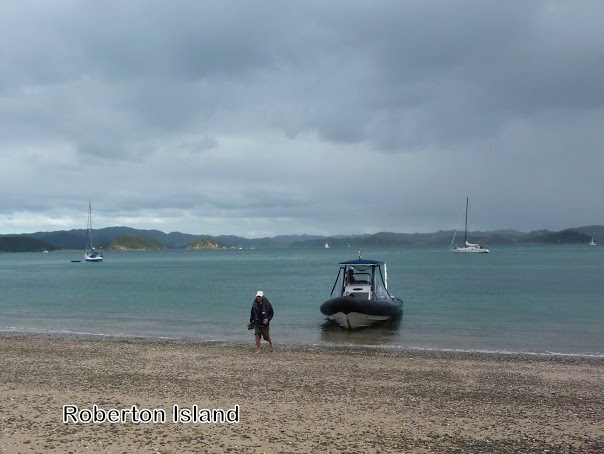 We hired a boat to take us to Urupukapuka Island in the Bay of Islands. 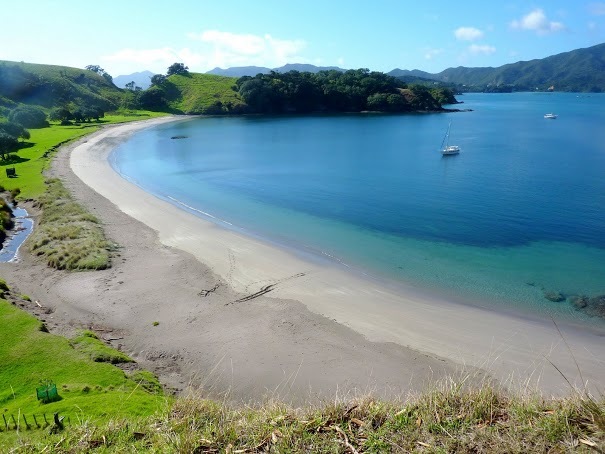 This is the largest of a group of islands that are part of a worthy and ambitious project to restore native flora and fauna, in particular native birds, to the Bay of Islands. 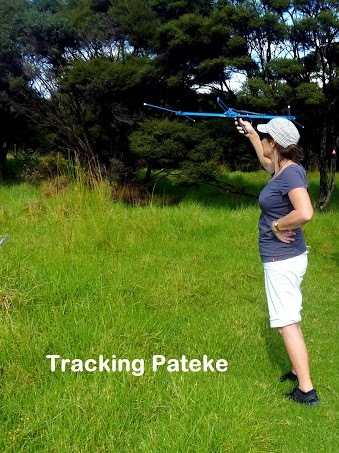 Tree planting and pest eradication have been underway for some years. 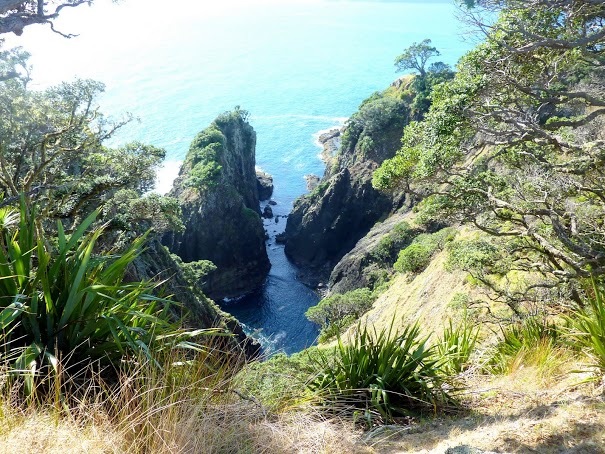 We heard the song of tuis almost every moment we were on the island and were often accompanied by fantails. 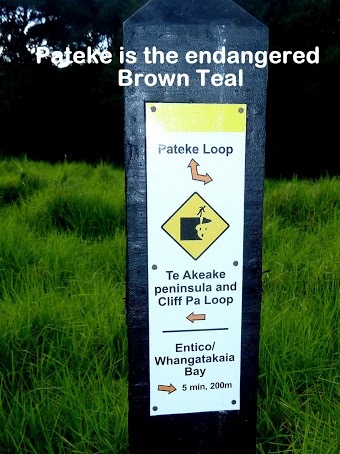 The pateke or brown teal is an endangered small, brown and quite beautiful native duck. There were a few on a pond that we visited. 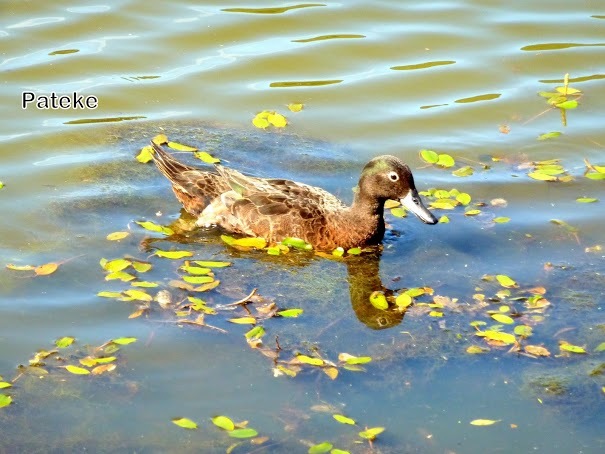 You’ll see photos below of the ducks and of concerned bird lovers that we met who were tracking the ducks. 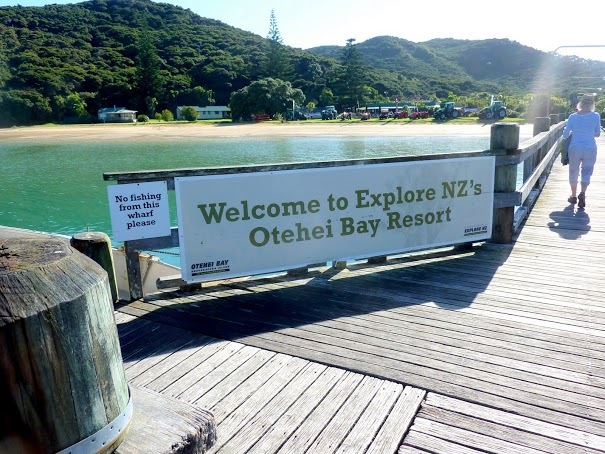 Urupukapuka (island of many pukas, a native tree whose large leaves were used as paper by early European visitors) is a delightful place to visit. There are a couple of shore-side DOC camps, easy, well-maintained tracks, regenerating bush, grassy areas and historic pas. It is well worth the effort to get there. Calm, protected beaches were found on the leeward side of the island. 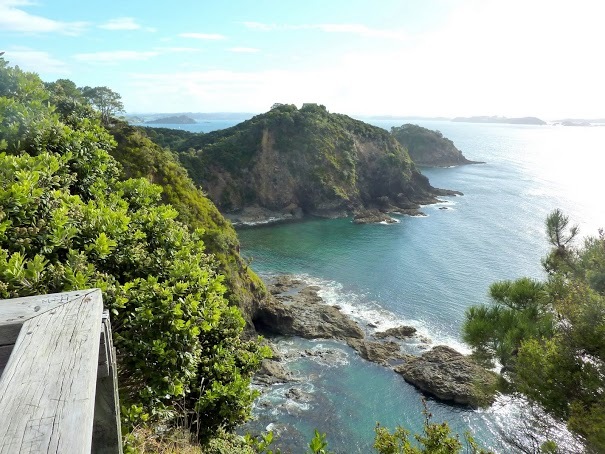 The spectacular view from the lookout on Roberton Island, an excursion we made on the return boat trip.